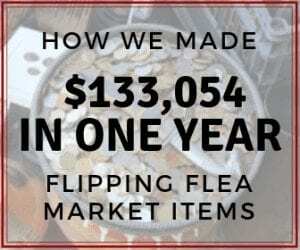 Flea Market Flipper’s November Earnings Report – $6,200 Including 2 weeks On Vacation!! 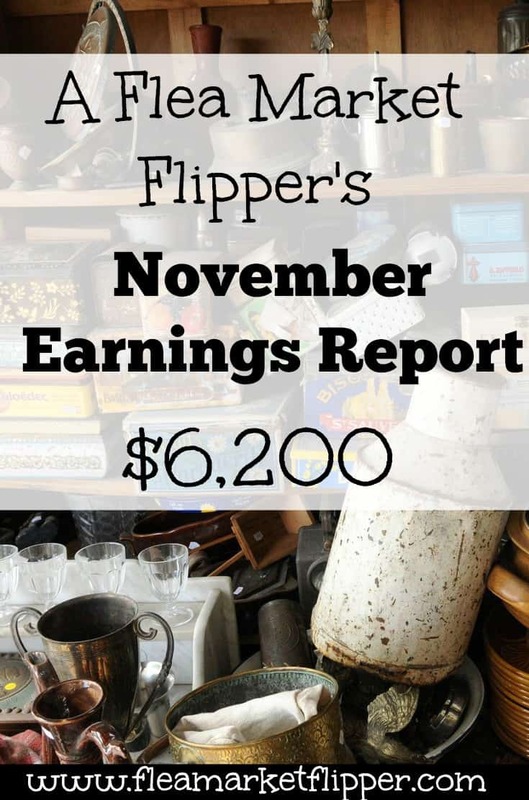 22 Dec Flea Market Flipper’s November Earnings Report – $6,200 Including 2 weeks On Vacation!! The November totals are in! Well, they have been in for a few weeks now, but getting them on paper (online?) has taken longer with the craziness of a lot of travel and the fast approaching holidays! I am happy to report that the grand total for November is $6,200! That includes 2 weeks while we were traveling on the road! We drove up to New Jersey, then Rhode Island, stayed in Tennessee much of the time, then drove back to good ol' Florida. We decided last minute to leave a few days early and bring our trailer with us. 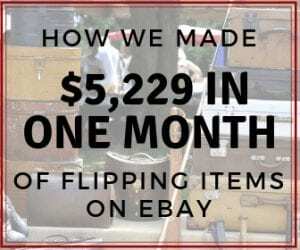 We put a couple items in it that we had posted online so we could sell them on the road. You can read more about that post here. 5 items had multiple purchases. (Mattresses and Star Showers were two of them that were purchased several times). 9 different types of items were sold. 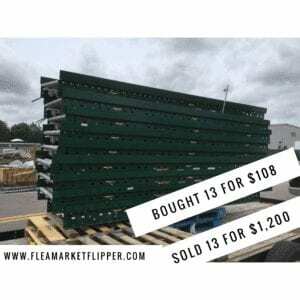 First item sold was a commercial plate warmer. I bought it from a post on Offer Up for $40. 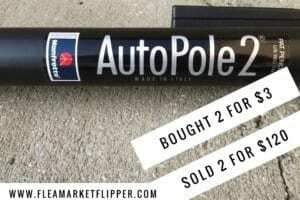 I sold it on eBay for $300. Next up were several Star Showers. 4 of them to be exact. All sold on eBay. 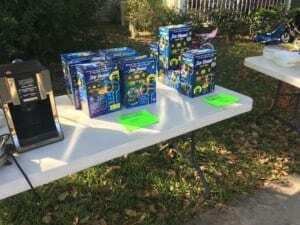 We bought these last year for $7 each, and have been selling them this year for $39 each. Then we have the tried and true Sleep number mattresses. I recently decided to separate them and sell the parts. 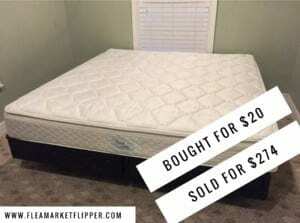 That way I make over $1,000 per mattress vs the $400-$ 600 I was getting as a whole before. I paid $60 per whole mattress (I bought 60 at one time.) I am down to my last few, so it is kinda sad in a way. Those mattresses have brought in almost $25,000 in the past two years! 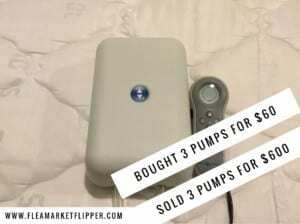 In November I sold 1 mattress cover for $274, and 3 pumps for $600 total. We estimated that the parts cost about $20 each since we paid $60 per mattress. 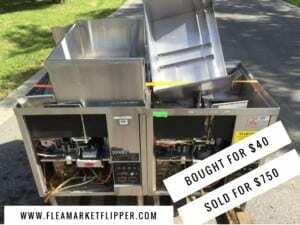 While we were on Thanksgiving vacation, we sold this underbar commercial dishwasher for $750. I bought these from a local online auction for $40. I didn't have this with me when we were traveling, so I emailed the buyer and asked him if it was ok to ship them out a few days late. They were completely fine with it. (If they weren't I would have refunded the money and canceled the transaction). Our biggest item for the month was our exercise bike. 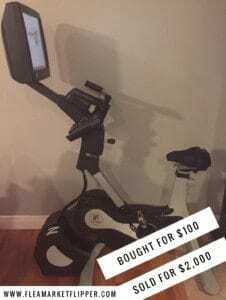 Melissa used this for about 2 years with her clients, but now that she isn't personal training any more, we didn't use it enough (even though I probably should have been! 😉 ) I bought this bike for $100 over 2 years ago, and sold it for $2,000. Pictures to come on how I shipped this baby up north! On our last days of vacation I got an inquiry on eBay about some conveyor belts that we had. Someone wanted to buy 6 of them for $700. 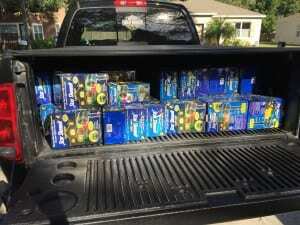 The buyer came to pick them up and I was able to up-sell him and give him a deal on getting 7 more for another $500. For 13 of these conveyors, I paid $108. (I bought 33 of them total several months ago). Lastly, we sold 4 of these holophane glass globe's. 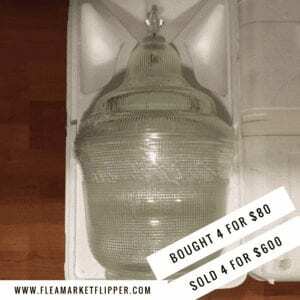 I purchased 4 of them for $80, and sold these 4 for $600. Overall I have to say that it was a good month, and I am very thankful for it. I love that I get to do this every day! It makes us money to live on, but it's also FUN! You should see some of the things I have already found this month. Are we friends on Facebook or Instagram? 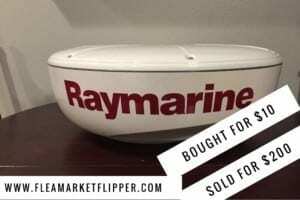 If so than you had to see my latest find! And the video of my daughter picking it up. sooooo funny! (at least as her dad it was). If we aren't connected than check out our Facebook page and Instagram account! We are always posting some new and interesting finds. There will be several contests rolling out as well in the new year, so stay tuned for those! 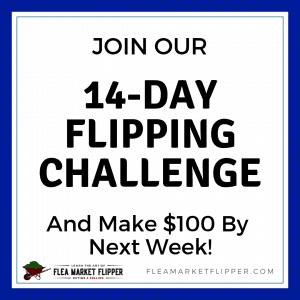 If you are thinking that this flipping thing may be worth a little of your time to learn, than you have come to the right place! 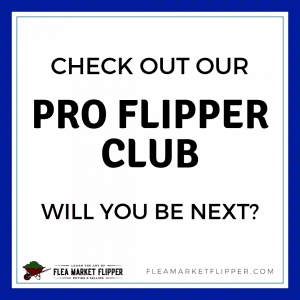 Check out Flipper University – the place to come to learn how to make a profit by buying and reselling items online. And if you already sell online but would like to increase your sales, than this may be exactly what you are looking for in the new year! Let's rock out 2017 together!! 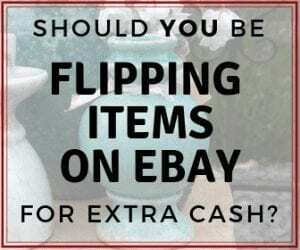 Are you currently buying and reselling items online for a profit? If so, what was your favorite flip of 2016? good month! 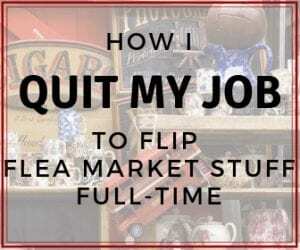 I mostly hit the thrift stores in my local area either on my lunch break or after the kids go to bed. 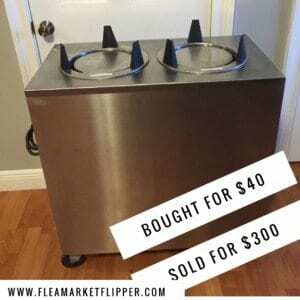 Favorite flip has been 3 HP toner cartridges that i picked up for $18 and sold for $225 within a couple days on ebay. Love those easy ones! Great job Kevin! Sounds like your killin’ it! How long have you been flipping items?